Venho-vos falar do COCO scrub. Para me ajudar nesta luta comecei a usar o esfoliante da marca que veio no meu pack de 28 dias. O esfoliante de Café e Coco 100% orgânico , é como que uma terapia para mim, bastam alguns minutos e sinto-me revitalizada... Podem saber mais sobre o mesmo AQUI. O seu cheiro é muito intenso e faz-me sonhar com palmeiras, areia branca e água transparente dos dias de sol na esplanada do café. E todo esse aroma perdura na pele até ao final do dia. No final do duche sente-se uma camada fina de hidratação e a pele fica tãão suave, eu confesso que fiquei impressionada!! Todos nós temos aquele "MeltDown" e nada melhor que novo miminhos para nos animarmos, e ter aquele momento de cuidar de mim. Este passou a ser um dos meus favoritos! I come to you talk about COCO scrub. To help me in this fight started using exfoliating brand that came in my pack of 28 days. 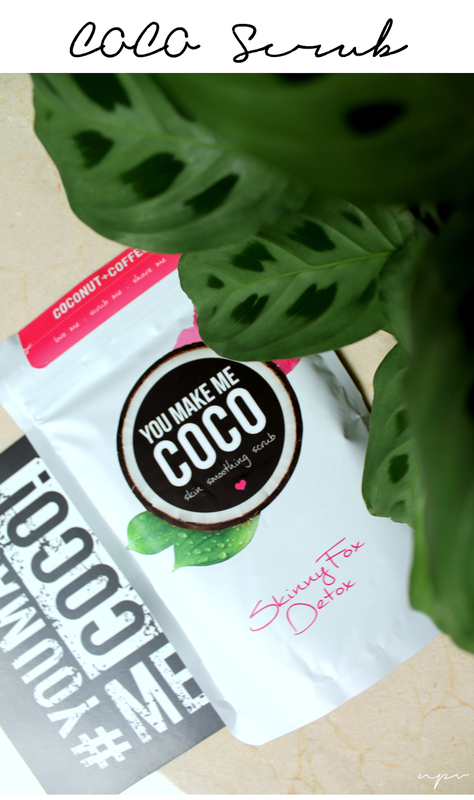 The exfoliating Coffee and Coco 100% organic, is like therapy for me in a few minutes and I feel revitalized ... You can learn more about it HERE. Your smell is very strong and makes me dream of palm trees, white sand and clear water of sunny days at the terrace coffee shop. And all that aroma lingers on the skin by the end of the day. At the end of the shower feels a thin layer of hydration and the skin becomes smooth soooo, I confess that I was impressed !! We all have that "meltdown moment" and nothing better than to cuddle in new animate, and have that time to take care of me. This has become one of my favorites! This looks great! Motivation is definitely something I struggle with too sometimes. Wishing you all the best.